This module enhances the magento 2 capabilities to send transactional mails. 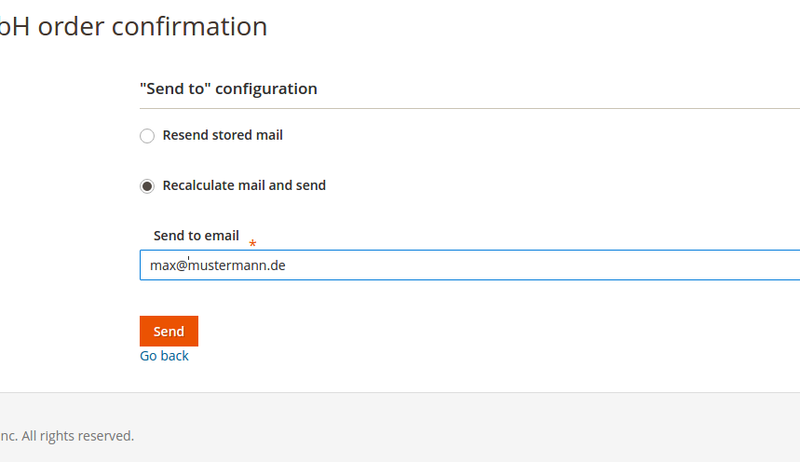 In a plain magento 2 installation it is neither possible to track and manage transactional emails sent by magento 2 system, nor it is possible to store mails locally or at backup service providers. A mail transport system which takes care of transport of outgoing mails to a mail service provider and retrieval of returning meta data for mails entities. A mail storeage system which takes care of storing the data of outgoing mails and its metadata on file-systems. As well the implemented transport system as the storeage system consist of a configurable base class for Magento 2 and a second class for dynamic loaded plugin classes which performs the actual transport. Therefore it is possible to keep the rich basic functionality of this mail module and to enhance it by vendor specific functionality. Add the module to your composer file. Install the module with composer. On succeed, install the module via bin/magento console. 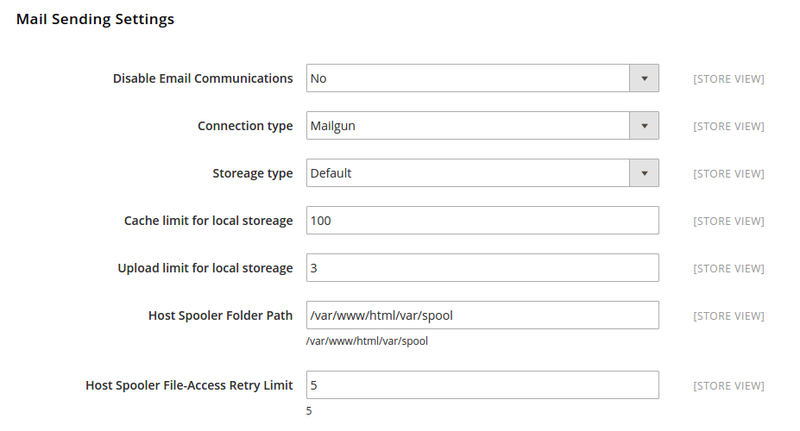 Transport and storeage configuration can be easily done via store config. Installed plug-ins for transport and storeage can be selected at this point. 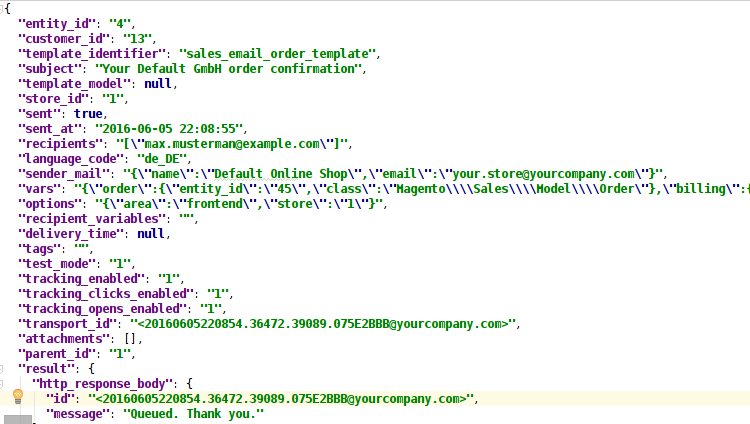 Each mail sent by magento 2 is stored individual as json file. 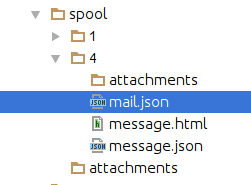 Additional a rendered version of each mail is stored as .hmtl file. This reduces loading times on review and enables external storeage systems to preview content stored. The default storeage stores all files sent by magento2 in a so called "spool" folder. The mail data will stay at this local server path until it is deleted or moved. With an installed storeage plugin a cronjob will automatically take care to move all stored mails to your secure external storeage location. Even if your server is reinstalled or you have to clean up your magento installation: The conversation with you customers is safe. The customer administration is enhanced by an additional menu tab. The marketing - user content - tab is enhanced by an additional menu point. 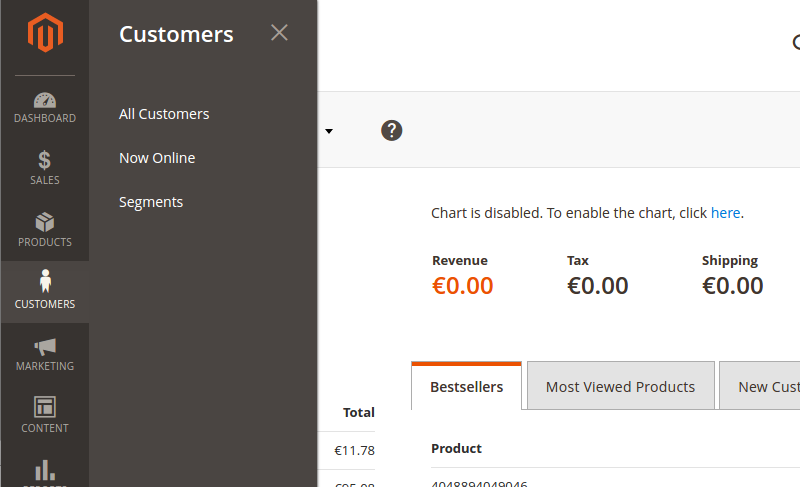 On this new section you can review and resend all (guest and customer) mails sent by the magento2 system. This extension keeps track of each email sent from store. For each of them it is possible to trigger an resending. The base mail module supports attachment sending. Magento2 does not support native file attachment handling, therefore you need to add some code on your own. In order to add files from filesystem, you need to change your email sending strategy to "async". You have to modify/override the EmailSenderHandler class.